Bookmakers online offer Australian friendly withdrawal options for the winning punters. When it comes to withdrawing funds after a successful wager, you will automatically be directed to withdraw in the same manner as you deposited your money at online bookies. But remember that it’sfinally your choice to see as how you wish to encash your winnings from a bookie. Though there are many withdrawal options available at bookmakers site, some of the popular ones are as mentioned below. This is one of the most common methods of withdrawing cash, with funds transferred directly from your online betting account to a nominated bank account of your choice. The process to withdraw is also simple. All you need is to log in to your account, click the withdraw option on the homepage of your selected bookmaker, you can find this in the account options/settings menu and enter your bank account details. Select and confirm this mode of withdrawal the money will disappear automatically from your betting account and will generally be processed on the next business day before appearing in your bank account. It is important to note that with most bookmakers, the name on your bank account must match the name of your bookie account. This is also a simple process of withdrawal. To withdraw via your credit card go to the account section of your chosen bookmaker’s online website and click on the withdraw tab. Now you will be able to select ‘credit card’ from the withdrawal options, with the bookmaker requiring your card details in order to process the payment. While withdrawing funds to a credit card is possible, most bookmakers do not allow withdrawals to a debit card, instead transferring the cash to the account linked to the card. Also note that some bookmakers also don’t support certain cards such as American Express or some prepaid and virtual cards, so make sure you check with them to ensure they are able to transfer you your money if this is the withdrawal option you wish to choose. While using this method of withdrawal you will get back your wins within two business days. PayPal is another withdrawal method supported by most bookmakers, however they usually require you to have made a deposit from your PayPal account prior to withdrawing funds into it. Much like the other withdrawal methods, punters must select PayPal from the options within the relevant section of the bookmaker website. To complete the withdrawal transaction, you will be taken to the PayPal website for confirmation, with up to one business day usually taken before the funds are fully authorised and processed into your PayPal account. Skrill is an e-wallet which enables punters to transfer funds online to and from their betting accounts to their Skrill account. Most online bookies support this method of withdrawal, with it listed under the withdrawal options menu on the bookmaker’s website. When withdrawing funds through this method, you can expect to be waiting up to one working day for the transaction to be fully authorised and processed. This is most common method found at online bookies to make get your winning payouts and withdraw money from your betting accounts. For this you must log in to bookie account and head to the ‘my account’ section of the bookmaker site. From there you can select the withdraw tab where cheque will be one of the options. You must then fill in your details and submit it for the bookmakers to then process. Cheque withdrawal usually takes 3-4 working days to encash to your bank account. This is a new method of withdrawal now available at few bookies which is basically a debit card which is linked to your online betting account. Money must be transferred to your card via the withdrawals section of the bookmaker site you are using, with funds instantaneously appearing. The cash card can then be used like any normal EFTPOS debit card or to get cash out at an ATM of your choice. 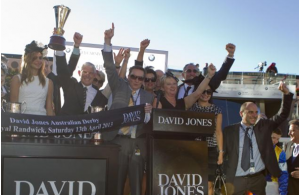 Bookmakers which support this increasingly popular method of accessing winnings include Sportsbet, BetEasy and Bet365. Click here to know how to get cash card from Sportsbet. There is generally a minimum amount for withdrawing funds and this varies depending on the bookmaker and withdrawal method you are using. Generally it is $10 at most of the bookie sites. 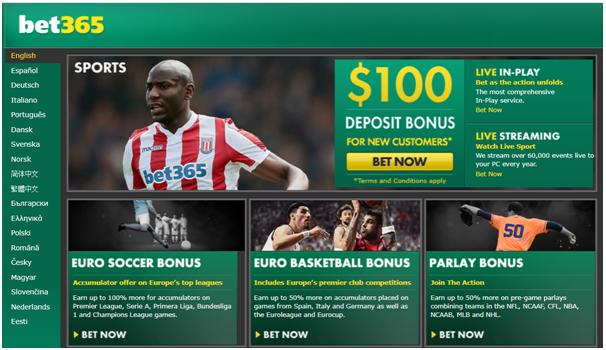 Some bookies do require international customers to withdraw a larger minimum amount like Sportsbet has a $100 minimum withdrawal amount for their bank transfers, with any sum less than this amount attracting a transfer fee. Also many online bookmakers do not charge a withdrawal fee, however some of the payment methods themselves, such as PayPal, do enforce a small fee themselves so be sure to check beforehand. 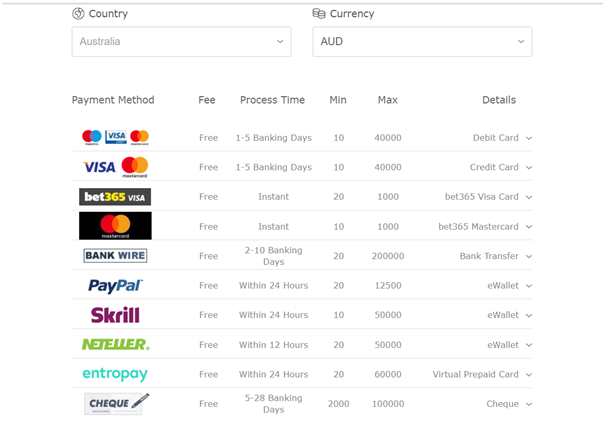 Some of the cash cards also attract fees, with ATMs charging to withdraw cash, while some bookmakers will also charge a small amount when getting cash out with a sale, such as Sportsbet who have a $0.29 fee. Your identity must be verified before you can Withdraw. Many online bookies require your ID proof like your Utility Bill or Drivers License for you address and age proof. Many online bookie sites have time limit for withdrawals. Like at Sportsbet if you request your Withdrawal before 2:00pm (AEST) Monday to Friday, you will see your funds in your account the next morning andif you request your Withdrawal after 2:00pm (AEST) or on the Weekend then it will be processed by the bank on the next business day, and you will see it in your account the following business day. Now visit any of the bookies of your choice and wager on horse races or sports.